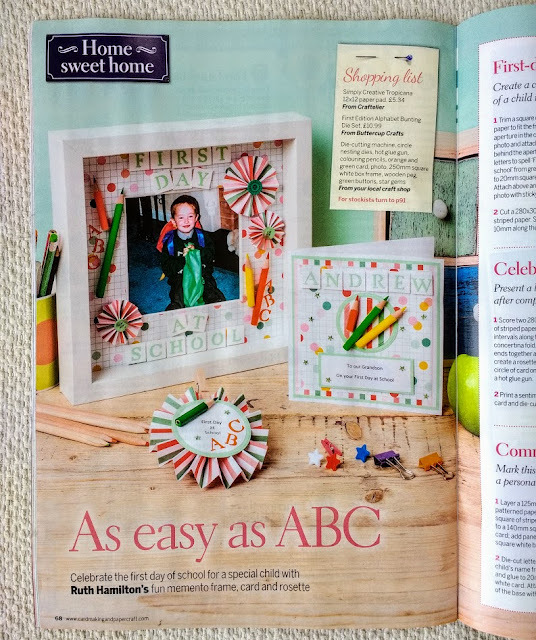 My commission for this one was a Back to School set and I used a photo of Andrew on his first day at school in the frame - doesn't he look so cute all those years ago?! 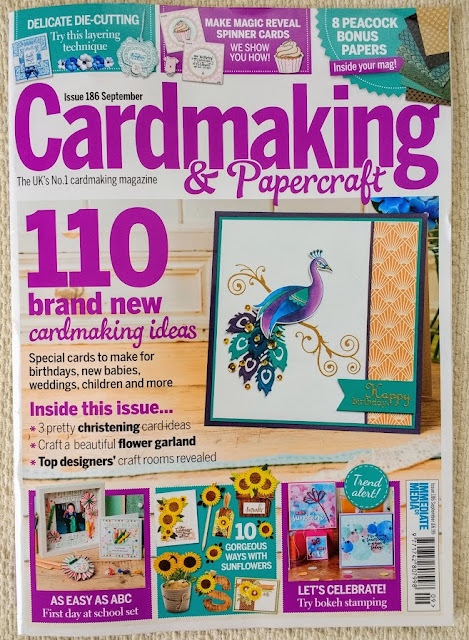 The magazine is full of fantastic projects for every level of papercrafting and has 2 super free gifts this month. One is an A4 booklet of beautiful Christmas papers and the other is a Majestic Peacock stamp set with a dinky little die. 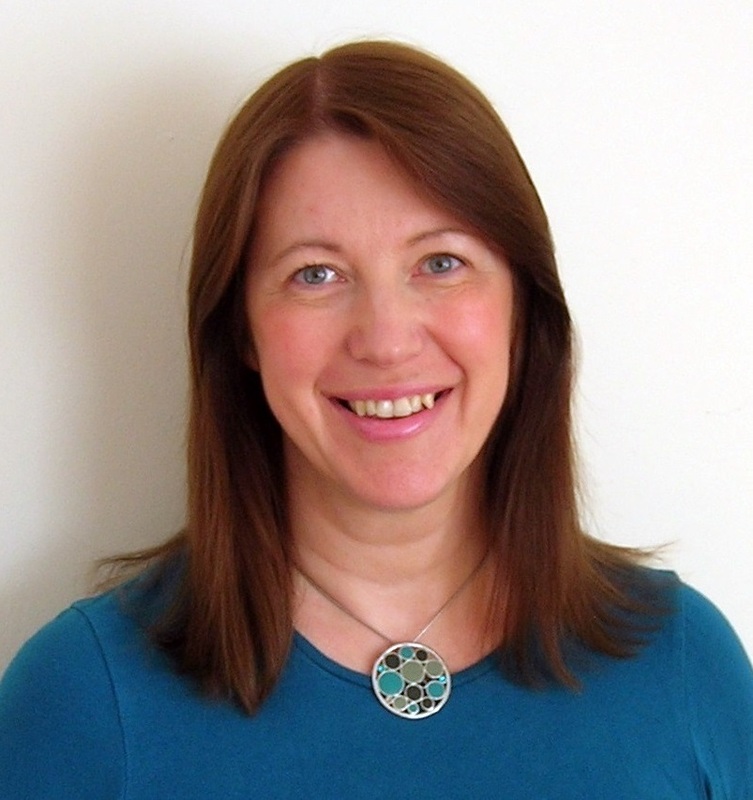 Congratulations Ruth! What a wonderful experience to be published, allowing other people to learn from you, or just to appreciate your work!